Dance agency specialized in outsourcing professional female dancers and models. We have a staff of 30 dancers that have experience dancing at weddings, award shows, private bachelorette parties, backup dance performances and corporate events. The dancers also have experience with promo modeling and being the face of our clients brands at trade shows, hair shows, women's expos, and more. Dance styles consist of synchronized choreography of hip hop, pop, soul, afrobeat, and jazz songs. Willing to travel nationwide for a travel fee. Thanks for booking one of our dancers, Stacy. We hope you decide to book again soon! I wanted to do something different this year for my birthday and this was it!!! It was high energy but also beginner friendly. Naomi was the best instructor!!!! We also enjoyed your guests. Thanks for the review and we hope you decide to book again! The Ladies really enjoyed the class we had on Sunday, 2/10/19. Noami, the instructor, was so energetic and she really made our class extremely fun. We felt so comfortable in the class and we all received an extensive (in a good way) workout. We learned so much from the class and some new ways stay in shape (hint hint). Our hats goes off to you for your endeavors with your business. I have taken classes like this before, but I can honestly say that Noami was the best, she made every exercise worth trying and her lively pleasant attitude really made us feel conformable - - - Kudos To Her!!!!!!! Thanks for everything! We will be back and I will refer your services to others. That means so much and I will definitely relay the message to her. She is truly one of my best dancers and will be elated to hear this news. I look forward to working with you all more in the future. 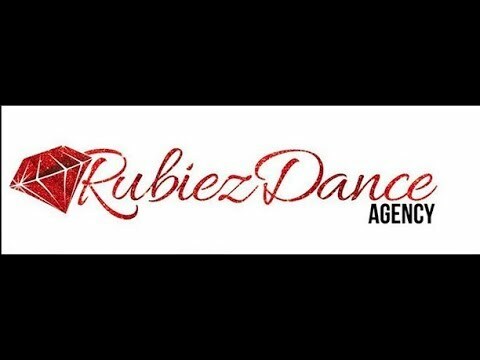 Rubiez Dance Agency has choreographers from different backgrounds including pole, burlesque, hip hop, and sensual heels dance similar to Beyonce's backup dancers. You can expect organized choreographed performances with 3-12 dancers uniformed in any attire that you choose based on your themed event. Rubiez Dance Agency specializes in the development of female professional dancers and models. We condition dancers for performances, music videos, private dance sessions, weddings, award shows, corporate events and more. Book a choreographer for your next private dance session with your girls. Either way, we’ve got you covered for your next event! Miya L. Parks is the owner and founder of Rubiez Dance Company LLC. She lives in Atlanta, GA and an original Atlanta native. As a choreographer, she paved her way through many forms of dance including jazz, hip hop, and burlesque. She joined a team of urban burlesque dancers who enjoyed the art of dance but there was something missing. Little did she know, this would lead her to start her own group the very next year. Her creativity and encouragement from friends and family sparked a great opportunity for her and her business. There must be good lighting, arm and leg space with a proper stage for the dancer's to perform in heels.